There are two times in a year each of us tend to stop and wonder at how ceaseless the flow of time is. One, is our respective birthdays and the other, is the beginning of a new year. It suddenly fills us with the feeling that time is in a rush and is leaving us behind; sometimes it’s a feeling of remorse for not being able to do things we intended to, or the feeling of relief that a bad year is now all but consigned to the ‘rear-view mirror’ of life. For teens the joy of taking dauntless strides into adulthood, and for youth probably, hesitant and edgy steps into a mid-life. Be what it may be, at some point in this journey we do stop and muse at how unconquerable and detached time is. Time heals all pains, yet it never pauses to sympathise with any. Time can be spent in the memories of the past or in aspirations for the future, but you can never step a fraction ahead of time or overstay a moment for more than that moment. All of us have been through those piggy-bank times in our childhood, where the carefully collected pennies have to be finally spent. There is always the strong temptation to spend it on that soda pop or that double-sundae extravaganza, and see the precious savings melt away like the ice-cream or vanish like the effervescence of the drink into nothingness. But even in that tender mind there would be a flicker of wisdom that suggests we spend it on something less evanescent. Years later as we grow up, the pennies are replaced with time and the question is how best to spend it? Many of us still yield to the temptation of spending it on momentary pleasures for there does seem to be a ‘sound logic’ driving it - life is but filled with many a moments, let’s strive to fill each one of them with pleasure and life itself shall indeed be pleasurable. But there is something more than this simple arithmetic when it comes to life. As Bhagawan would often call our attention to the lives of great achievers like Alexander the Great, moments that appeared well spent while they were being filled with pleasures and petty achievements, look utterly empty when looked back at. What then should we do with time? If time is the premium we can spend, and life is the bank account that dispenses it without letting us know how much more we have, how should our prudence express itself? We could answer this question only if we know what this life is meant for after all. This precisely is what Swami’s message is all about. Through His words He constantly educates and guides, cajoles and cautions, appeals and admonishes, hints and exhorts; all the time reminding us of the purpose, pointing to the path and filling us with faith in ourselves so we may sanctify our time. Especially when it came to His students, and the youth in general, the importance of time and the need to lead a purposeful life would be a strong recurring theme. 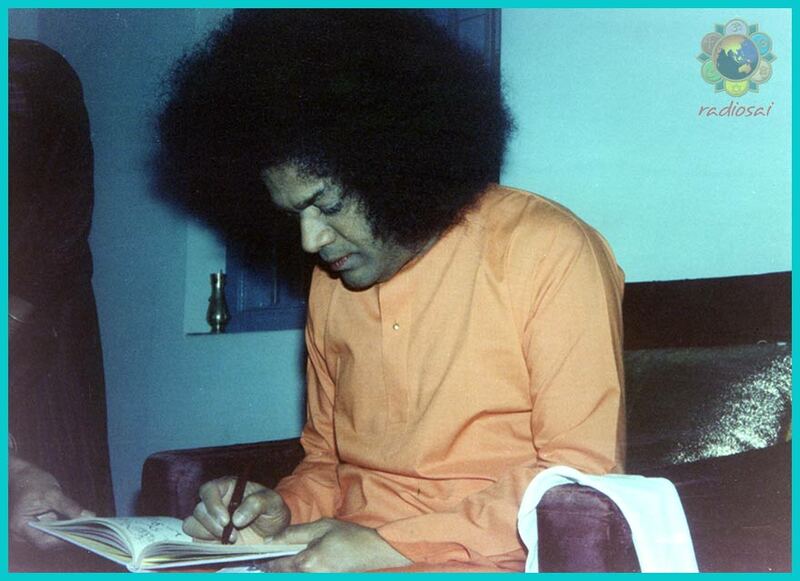 Apart from counselling them personally while spending enormous amounts of time with His students, when physically away, Swami would write letters to them reminding them about His instructions. Swami also used it as a sweet means to keep the students’ focus on their beloved Swami even during times when He was physically away. As we step into this New Year, why not revisit one of those timely yet timeless messages? 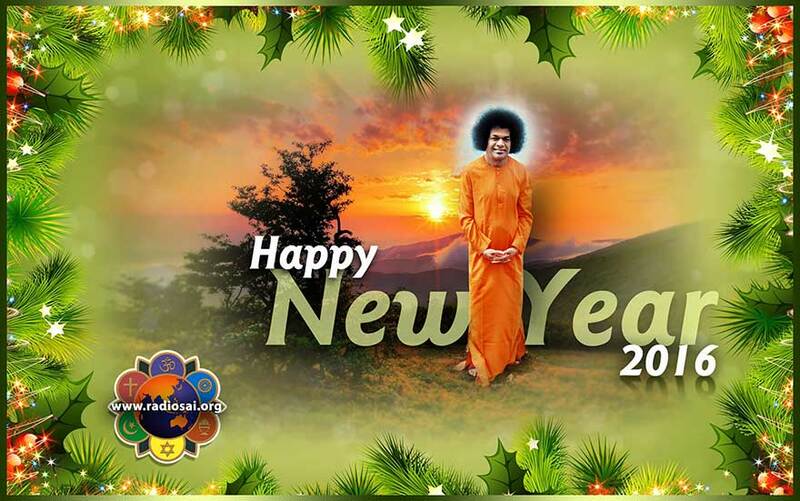 In a letter that brought with it Bhagawan’s New Year blessings, there was also a message as to what are the aspirations that can guide us to lead a purposeful life. Accept My Blessings. On this 1st day of January, Blessings to you for a long, healthy, happy, peaceful, comfortable life with the experience of spiritual bliss. All of you should grow into ideal persons. New Year Blessings and drops of love. All the boys must study well and cultivate discipline, humility and obedience. A life devoid of Divine Grace is verily no life at all. A birth wherein the Love of God is not secured is really no birth at all. Therefore, take to the path of spirituality, undertake the necessary Sadhana and become worthy recipients of Sai’s Love and Grace. Education merely for a living is like chaff without the grain. This is also not education in the true sense of the term. Practise Sai’s ideals and experience Atmananda. Love and Blessings to all. A goal or purpose to life can define the present, and present the past in a new light, so we may discern the hidden hints it offers. Often times the lack of a vision or a trivial goal leads us to fill our lives with empty pursuits and trinkets. That is why, Swami in the letter above exhorts us to strive for God’s love and grace. Fixing these as our goal will inturn lead us to sanctifying our time. What could be a more endearing goal than Bhagawan Himself? As those who have tasted that love, the world and all the glitz it can offer must appear insipid to us, isn’t it? Most of us have been led to Swami by the strong desire to secure our happiness in the world. In Bhagawan we found an all-encompassing insurance for life, wealth and wellbeing, for ourselves and those we claim as ours. In other words, putting it crassly, we tried to ‘use’ Swami to accomplish the world. But now can we make a conscious effort to utilise all that is in our disposition to win God’s love? In other words, can we now ‘use’ the world and our time in it to achieve God? Wouldn’t that be a perfect resolution for this New Year? The beginning of a New Year is also characterised by our greetings to each other, wishing the year will be a ‘happy’ one for us. And when we look deeply we realise, happiness too is a word as mystical as life itself. Little things filled us with happiness when we were children. We would love to have that childhood happiness back, but we don’t seek the same things in search of that happiness. For we know that the happiness was never in those little objects and gifts. Yet we don’t stop seeking our happiness in objects outside. Little toys are replaced by bigger ones as we grow. Swami would often remind us, true happiness is to be found in union with God alone. 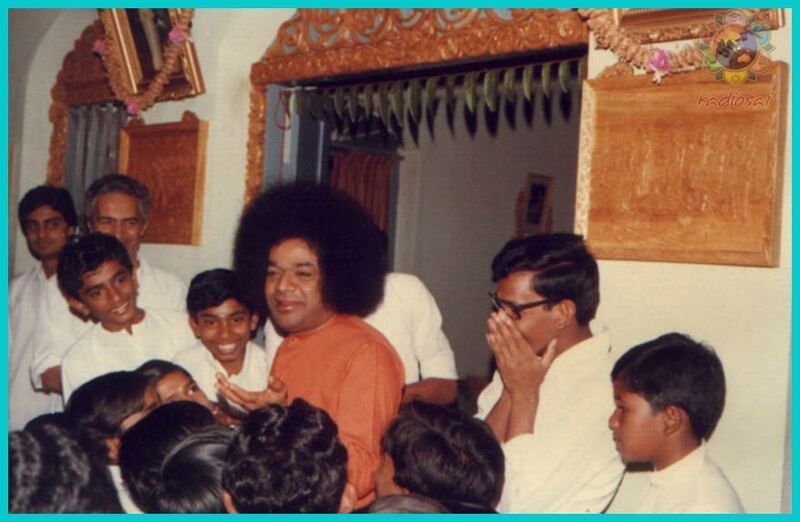 It is little surprise then, that Swami chose to reiterate this very lesson on a New Year’s Day when we boisterously wish each other a ‘happy new year.’ In this loving letter Bhagawan wrote to His students more than 40 years ago, He prods them to seek happiness that’s permanent by nature. Wish you a happy and peaceful New Year. What is the happiest day in your life? All are happy days to a person of true knowledge. Happiness is an internal conscious experience which comes as an effect of the extinction of mental or physical desire. The lesser the desire, the greater is the happiness, so that perfect happiness consists in the destruction or satisfaction of all desires in the absolute being. Life is an experience meant to train the individual for a higher, deeper and expanded state of existence through the experience of the results of action. The aim of everybody’s life is the attainment of complete perfection in the spiritual Absolute. What is man’s dearest possession apart from his life? One’s dearest possession is one’s own true self and there is no permanently dear thing apart from that. 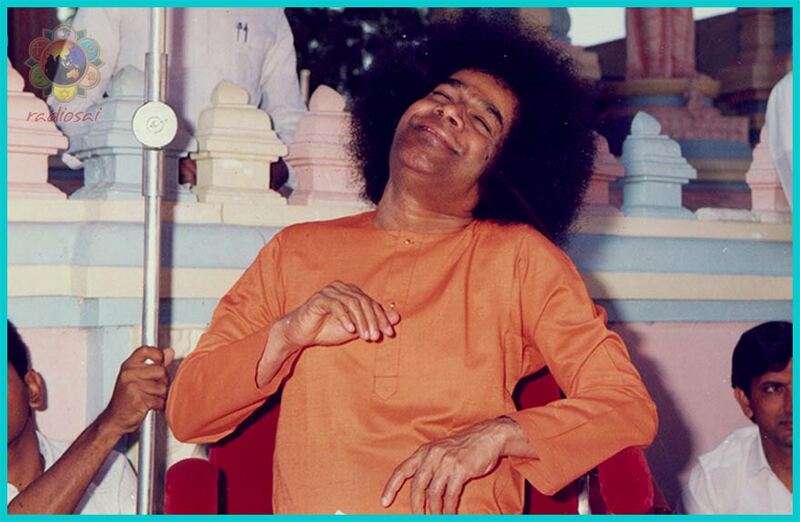 “There is nothing second to Sai”, a statement to be carved in gold and enshrined in each one of our hearts, isn’t it? A statement that if we could make the signpost of our lives, moral choices would no more be dilemmas, and leading a noble life of service to others would become second nature. Our lives change drastically when certain individuals or elements enter our life. For instance, a new-born in the house causes immense change, with all reorienting their lives around the needs of the new member; even a new job tends to modify our daily schedule. Is it too much to expect that when Swami steps into our lives, the way we live must change completely? Shouldn’t all our priorities, decisions, definitions and even fears reorient themselves? As long as that doesn’t happen we are not optimising this blessing that has come our way. The goal for each of us may be far or near, the goal of attaining the ‘complete perfection in the spiritual Absolute’, as Swami put it in that letter; but it is in us to ensure that we take every step forward with conviction and a sense of purpose towards that goal. When firmly on the path and when our focus is undeterred, reaching the goal is but a matter of time. And what is time for the Master of Time? He chooses the length of the path, He chooses the time it would take to reach the goal, all that we need to offer Him is earnestness or Shraddha. Narada was moved by the man’s devotion. He could sense his sincerity and gauge the purity of this devotee. Promising to carry the prayer to the Lord, Narada left for the heavens immediately. He was all excited to tell the Lord about this devotee and his pining, but the Lord was planning a play of His own. When Narada entered the chambers of Lord Vishnu, he saw that the Lord was resting on His bed. Then Narada explained what Lord Vishnu told him, and he had barely completed his sentence when the devotee began dancing in joy, tears of bliss streaming down his face. Narada was befuddled with this reaction, but what happened next was even more unexpected. The very next moment there was a flash of light right before them and the Lord appeared in all His glory, adorned with resplendence and the most beatific smile. The vision was granted and the devotee went into raptures and was lost in that moment. Narada was filled with surprise, happiness and even a sense of being betrayed. Time is a toy in the hands of the Lord, and time cannot threaten the heart filled with love for Him. Let us but fix Him as our goal and take every step dauntlessly towards Him. Milestones of time may come and go, but we know that the goal could be just around any corner. As we begin this New Year with renewed energy to walk towards the goal, that one goal worthy of lifetimes of effort, let us drink in this one last letter, where Swami inspires and encourages us. There is no difference between His love and the Truth. There is no difference between liberation and being one with Him. Swami, please hold our hands, and lead us unto You. The time will come when the whole of this dream will vanish. To everyone of us there must come a time when the whole universe will be found to have been a mere dream, when we shall find that the soul is infinitely better than its surroundings. In this struggle through what we call environments, there will come a time when we shall find that these environments were almost zero in comparison with the power of the soul. It is only a question of time, and time is nothing in the infinite. It is a drop in the ocean. We can afford to wait and be calm. 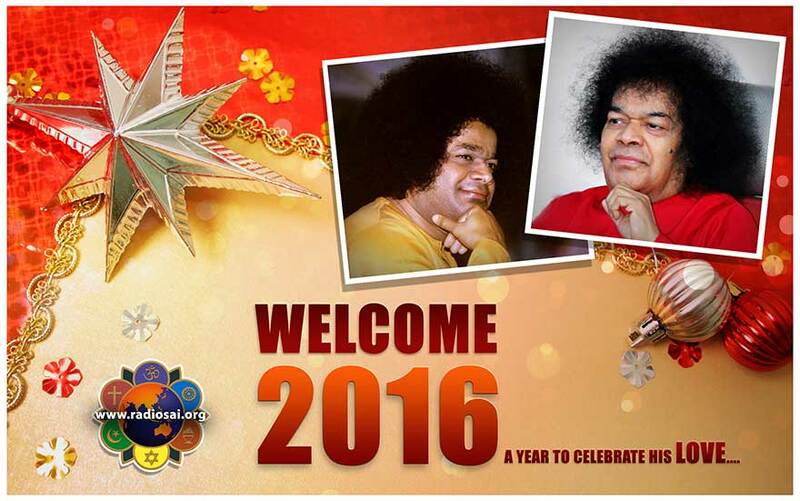 The entire Radio Sai Team wishes each one of you a happy, holy, prosperous and purposeful New Year! Jai Sai Ram.